If you are currently enrolled in a dental plan, we are happy to work with you to maximize any “out-of-network” benefits. The benefits and restrictions of a group plan are negotiated between your employer and the carrier it selects. The program may not cover all the dental care you need. Please review your plan to understand your coverage levels. Participation in a benefits plan is not required for you to receive treatment at Metrowest Family Dental. Dental benefits typically cover only a portion of the costs for more advanced procedures such as crowns, bridgework, or dental implants. 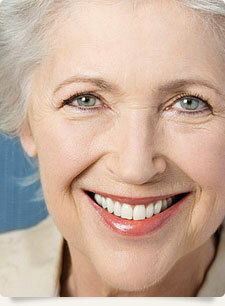 Cosmetic treatments such as veneers are usually not covered. Sometimes, a dental plan will only pay for the cheapest treatment even when this is not the most effective, long-lasting solution. A typical plan covers basic restoration of a little less than one tooth per year. Relying primarily on dental plan benefits can have an impact on the overall success of your treatment from both a functional and aesthetic standpoint. We want you to be able to receive all the care you need to maintain your ideal level of dental health without restrictions or limitations. Please let us know if you have any questions or ideas for how we can make your entire dental experience a pleasant one. PAYMENT POLICIES: The cost of treatment depends on the severity of the patient’s treatment needs. You will be able to discuss fees and payment options with our financial coordinator before treatment begins. We have payment plans to suit different budgets, including a low-down-payment option. We also accept assignment from most insurance plans, and will file the necessary papers with your insurance company. We work hard to make orthodontics affordable to you so you may have the best orthodontic care available worry-free! To fit your individual needs, financial arrangements can be made to extend your payments over a period of months, interest-free. For your convenience, we accept payment by Visa®, MasterCard®, and automatic debit from your checking account or credit card. In cases of serious delinquency, treatment will be discontinued, although we will make every effort to accommodate patients who have temporary difficulties. If you have insurance, we will help you determine the coverage you have available. We ask that you assign your insurance benefit to us. The balance will be arranged for you to pay (see above). Professional care is provided to you, our patient, and not to an insurance company. Thus, the insurance company is responsible to the patient and the patient is responsible to the doctor. We will help in every way we can in filing your claim and handling insurance questions from our office on your behalf.